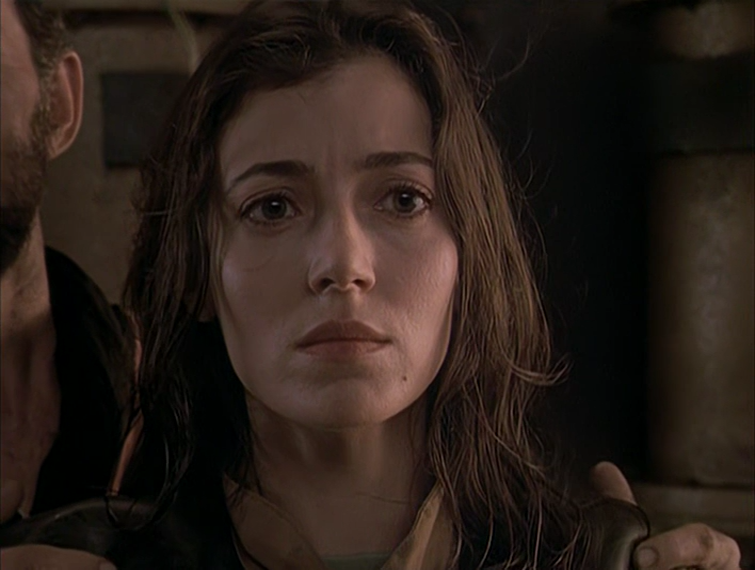 Mia Sara is one of my favorite actresses but finding projects in which she participated in that are worth watching is quite a task. After beginning her career with some big-budget movies and a starring role in a miniseries, the gorgeous actress began to trail off into the nether regions of crap, occasionally surfacing for some highly visible work. 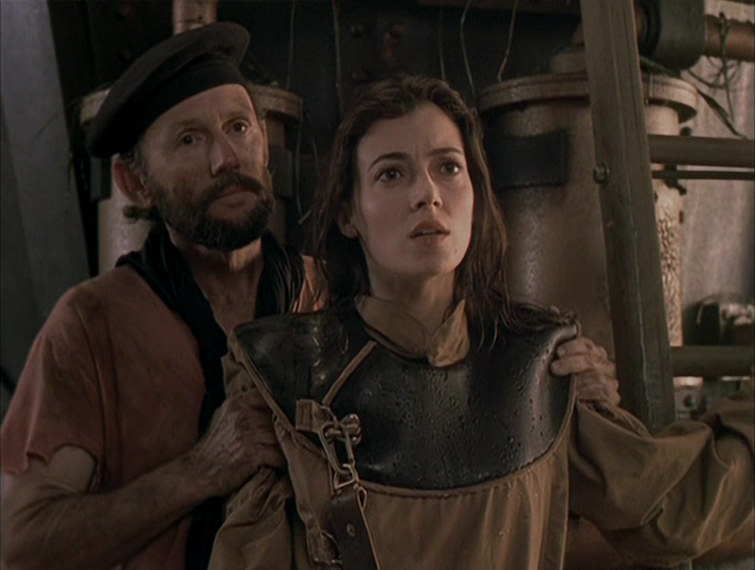 This 1997 adaptation of 20,000 Leagues Under the Sea was never really on my radar but a combination of wanting to see Mia Sara and my strong liking of Michael Caine and Bryan Brown made me finally sit down to watch it. 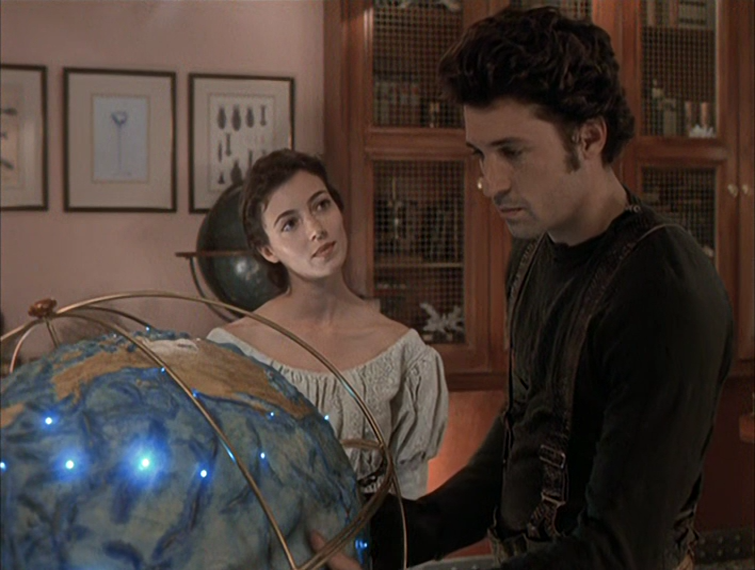 It is a quite enjoyable two-part TV movie with a good cast and decent special effects considering the budgetary constraints of television projects. 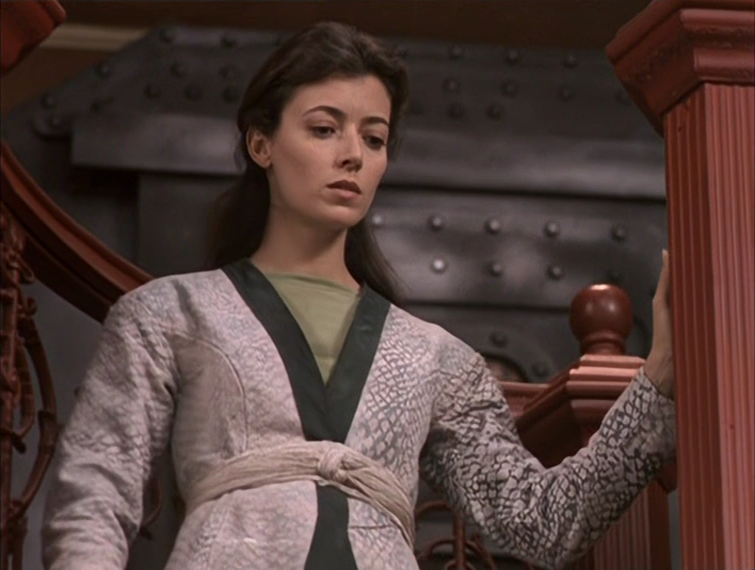 Mia Sara doesn't really show up until the second section of 20,000 Leagues Under the Sea and when she finally does the viewer discovers that the beautiful actress has decided to use an accent. Ostensibly, it is a British accent (since the famous British actor Michael Caine is playing her father) but as time goes on, the accent is all over the place. 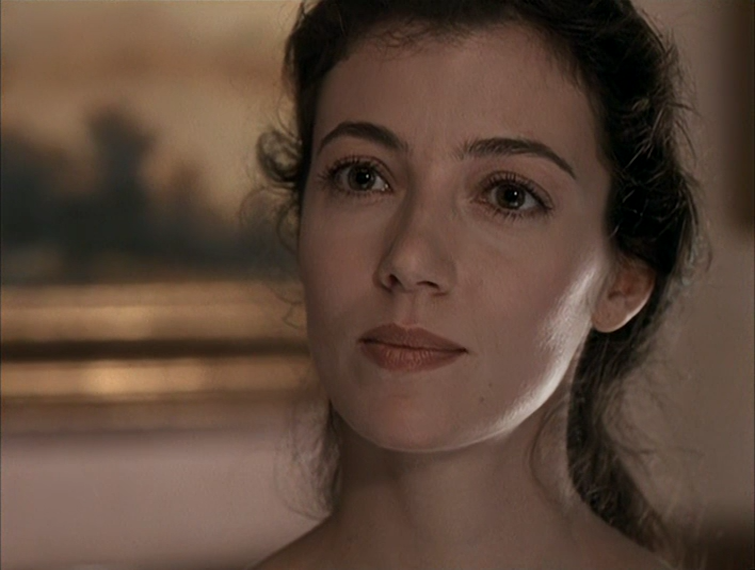 She looks great, however, and in the end her accent doesn't detract too much from the movie.